Herbet, IV, 1900, 302 (1969, 152), V (Grands Cartouches, Second Set), 9. COLLECTIONS: Florence, 12770 st. in vol. (16.1 x 22.8 S). New York, 62.525, no. 63. 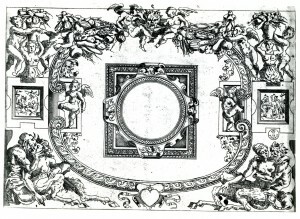 LITERATURE: Kusenberg, 1931, 166, under Fantuzzi, F.H. 13. 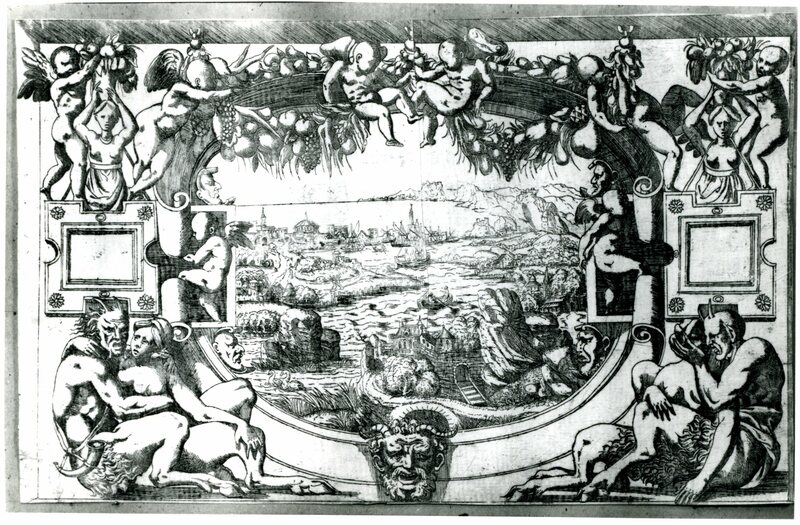 This etching is related to the framing planned by Rosso for the lost Pavilion of Pomona (L.39) and is rather sketchily copied, with variations, and in reverse, from Fantuzzi’s etching (Fig.E.63). 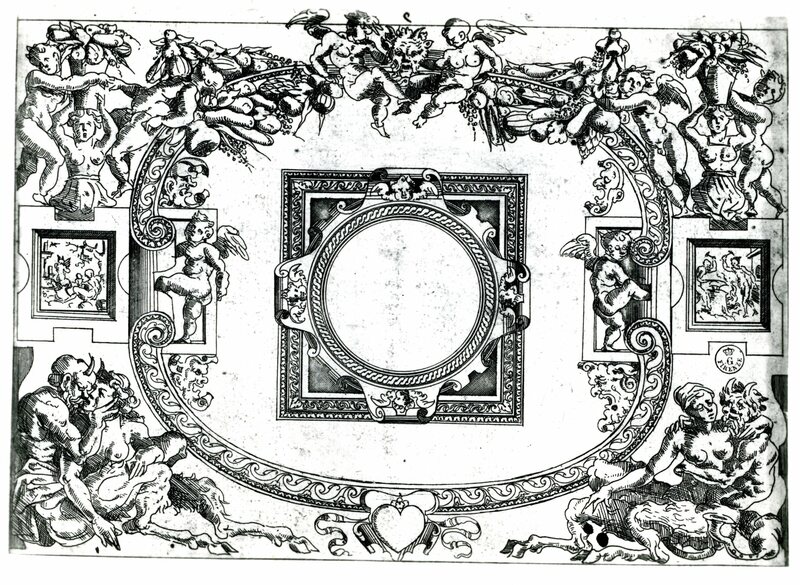 Du Cerceau has added two scenes in the small square areas that are blank in Fantuzzi’s etching, at the left, a satyr, woman, and child, and at the right, a Forge of Vulcan. See also Du Cerceau, E.57,10.